In 2017, 5.5 million existing homes got sold. “Existing” means the homes were already built when someone made an offer. That means there should have been about 5.5 million home inspections in 2017 as well. Unfortunately, not everyone bothers with a home inspection. They assume it’s an unnecessary formality that will only cost them extra money. That’s not the case, though. A failed inspection isn’t the end of the world, but it can give you valuable information about how well the home has held up over the years. Keep reading to find out what to with your house inspection report. A home inspection is not like a final exam in college. You don’t get a piece of paper back with a number on it from 0 to 100. A home inspection is more about identifying problems, then figuring out what’s next. A home inspection comes after the seller makes an offer, but before the offer gets finalized. If the home inspection turns up a glaring issue, that gives the buyer an opportunity to back out. A home inspection isn’t free, but it’s also not too expensive. You can expect to pay around $300 or $400 for a professional home inspection service. It’s tempting to do it on your own but resist the urge. You’re not a pro with years of experience in the business. You can look around at the house, but you’re not going to be looking for the same things as a home inspector on the clock. A home inspection before you buy is a bit like a car inspection before you buy. In the latter case, the mechanic isn’t going to completely take the engine apart if he finds something weird. A home inspector won’t tear your house up if they spot an issue. They may say, “You should get your foundation looked at by someone.” In many cases, they can even recommend a specific service. If the report comes back and there are almost no problems, then you’re in the clear. Minor issues like a window with a bad seal aren’t ideal, but they aren’t worth canceling the deal over. But what if the house inspection reveals serious problems? That’s a hard call, as a lot depends on the nature of the problems. For instance, let’s talk about bats. A single bat in the attic might not be a big deal; you can call an exterminator. But if you have a bat colony that will take thousands of dollars to remove, then that’s a signal telling you to press pause. Mold and asbestos are also two issues that can become huge concerns. Mold can be harmful to your health, for one thing. It can also signal a larger issue with the moisture levels in one or more parts of the home. The seller may be in a hurry to finalize the deal so these problems aren’t there’s to deal with anymore. You may also worry that if you push too far, you’ll lose a house that you otherwise like. But a failed inspection is more than enough reason to go back to the negotiating table. There are a few ways for those negotiations to play out. The seller may not want to fix the issue before they transfer the house to you. If so, they should come prepared to offer some other kind of concession. For instance, if the repairs will cost you $5,000, they might lower the asking price by $5,000. That doesn’t obligate you to accept, of course. If you don’t want to live in a house after finding out it has lead or asbestos, that’s your call. It might not be fun to cancel at this late stage, but it’s better than the alternative. Think of a home inspection as being equivalent to the day before a wedding. Sure, it’s not fun to call everyone and say you’ve canceled, but it’s better than calling everyone six months later and saying you’re divorcing. In other words, it’s easier to unwind some things before certain legal documents get signed. That’s true of both weddings and home sales. It’s not fun to hear that a big part of the house needs repairs. But it does give you a certain amount of leverage that might not have existed before the home inspection. Here’s why: The buyer knows that if you don’t go through with purchasing the house, they have to start over. And in this case, starting over means disclosing the problems to future prospective buyers. 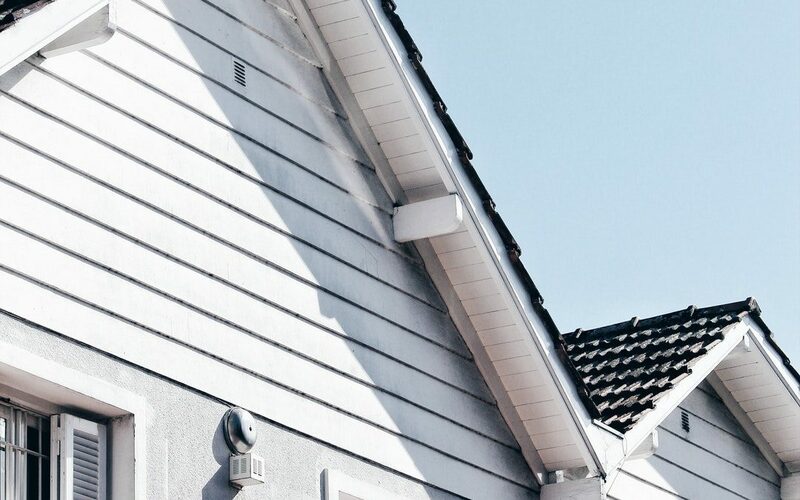 It’s easier for them to say, “Yes, part of the roof needs patched, but here’s why you should still buy it.” That’s because you’re already at least a little invested. The next potential buyer who comes along might not be as invested when they see the inspection report and realize how many issues there are. That gives you more room to drive a hard bargain. Think about the range of outcomes. Decide what’s acceptable to you. Is getting the house more important than standing your ground? If the inspection report is long enough to be turned into a book and sold at Barnes and Noble, walk away. But in most cases, there’s a lot more gray area. That means there’s no one right answer or wrong answer. Ask for advice from your real estate agent. You may even want to consult with a real estate lawyer. Ask for a few days to make a decision. If you still can’t decide, that means you should probably say no. If this house isn’t worth it, you can find another house that will be less problematic. A failed inspection can crush your spirits if you let it, but they’re a common part of the house-buying process. It can help to ask your real estate agent about all the home inspection fails they’ve seen on the job. We’ve been in the home inspection business a while. We believe knowing is always better than not knowing. When you’re ready to buy, contact us to set up a home inspection.